This is the second post of what is now to be a four part series looking at how Ion Torrent accuracy has improved over time. In this edition, I will show what a massive difference software can make with this technology. The results presented here was only possible because the software is open source. In addition, Mike and Mel have given me early access to binaries (ion-Analysis v1.61) that will be released in Torrent Suite v1.5. That’s a huge thank you to Mel and Mike! Throughput – Identify more Ion Sphere Particles (ISPs) with library fragments therefore increasing the total number of reads. 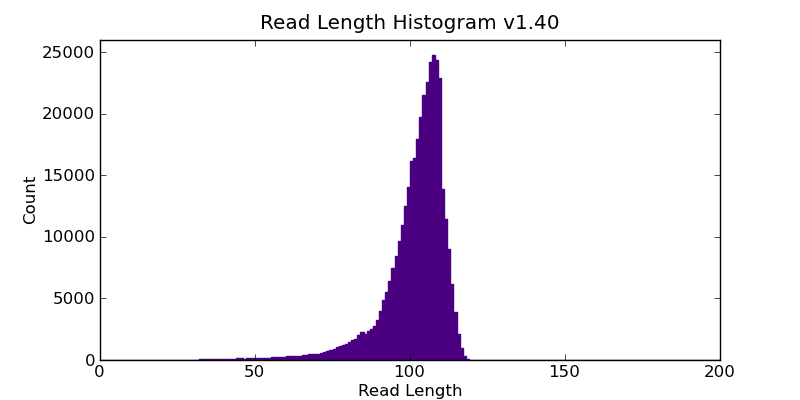 Quality – More and longer reads aligning back to the reference sequence. Speed – Reduce the computational time to analyze the data. // The datadir contains a 314 Run of the DH10B library. // performs read length metrics. The table below shows that between versions 1.40 and 1.52 there was a modest increase in the number of ISPs identified (i.e. occupied wells), resulting in an increase in final library reads. There has been a slight decrease in version 1.61 which I will show in the next section it is quality and not quantity which is really important. Between versions 1.52 and 1.61 there is a massive difference in the filtering metrics. The blame has been shifted from Poor signal reads to Mixed/Clonal reads. This has massive consequence on how throughput can be increased further. 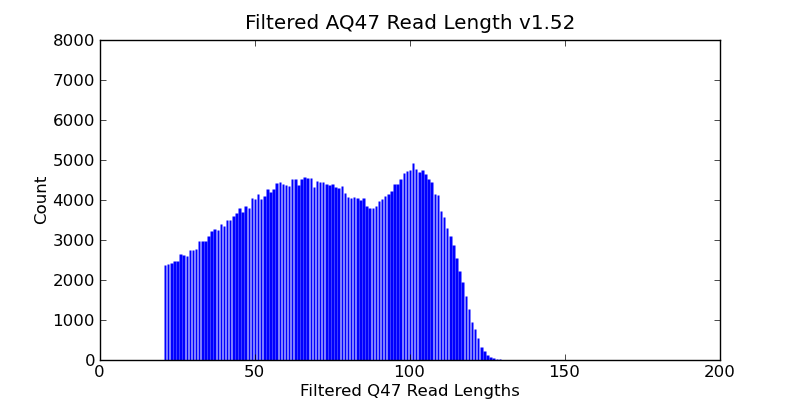 The problem of poor signal reads is largely due to the quality of the raw data and the downstream computational processing, while mixed/clonal reads are due to sample preparation. There is a possibility that there is a bug in the pre-release code. The improvements in software has allowed not only for more reads but slightly longer reads. This can be observed as a slight shift of the distribution to the right and also a widening of the peak near 100 bp. Interestingly, version 1.61 also has a small shoulder at 150 bp. At first glance the length distribution looks slightly better in version 1.40 compared to the later version 1.52. The peak in much higher and broader at around 100 bp for version 1.61. 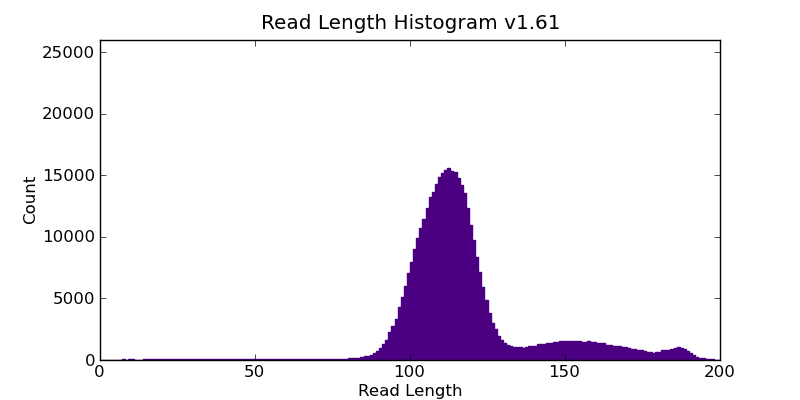 An important thing to note is that there will be a point that read length quality will be restricted by the library fragment length. 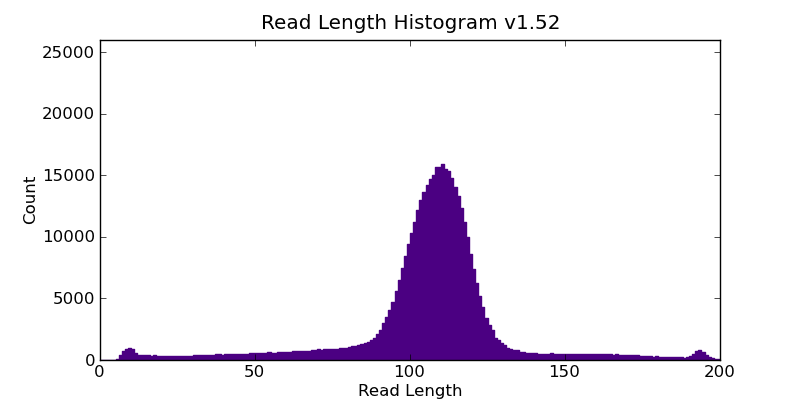 For example, if the average library fragment length is 150 bp, it would be impossible to get a 400 bp read! There is a massive reduction in computational time between versions 1.40 and 1.52. This was when the NVIDIA Telsa GPU was employed through the use of the CUDA SDK. The use of GPU computing has been highly beneficial for Bioinformatics programs such as HMMER. In the case of Ion Torrent, the biggest reduction is observed within the processing of the raw flowgrams (i.e. signal processing). This requires loading data from all chip wells from 20 flows (i.e. 20 DAT files) into memory and performing parameter fitting (Levenberg–Marquardt algorithm) using matrix operation and linear algebra within armadillo, blas and lapack/lapackpp libraries. In addition, there is modest improvements between version 1.61 and 1.52. This maybe due to the tree dephasing algorithm used for base calling as most of the time reduction was observed in this stage. The name “tree” would suggests a non-greedy algorithm was implemented. See my previous post regarding the greedy implementation. Note: Time is in minutes. Raw Flowgrams is the signal processing stage. Besides more efficient algorithms, run time is dependent on number of wells and flows to process. 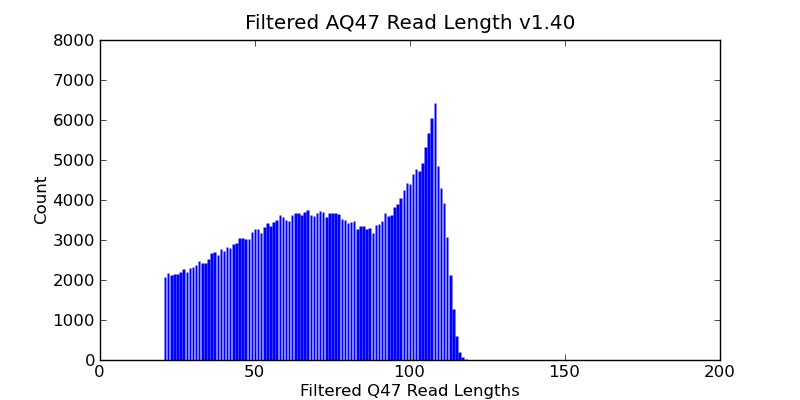 As Ion Torrent aims to increase overall throughput through increasing number of reads (i.e. wells) and read lengths (i.e. flows), it is crucial to have computationally efficient algorithms which are constantly improving. In this analysis there are two software versions that have or will be released shortly after the quarterly close of the accuracy challenge. This allows the unique opportunity to ask the question, would Ion Torrent software developers win the accuracy challenge themselves? In other words, how feasible given the time limits is it to achieve the goals set in the accuracy challenge. The goal is the equivalent of achieving a greater or equal the number of 100AQ20 reads (in the previous software release) but at 100AQ23 . It is the equivalent to the goals set by the challenge as software is released approximately every quarter. This entry was posted in Ion Torrent Blogs and tagged Accuracy, Ion Analysis, Ion Torrent, Life Grand Challenge. Bookmark the permalink. Yanick, thanks for the kind words, support and encouragement. It was great to meet some of the active people in the Ion Community, while in Montreal. I hope to write my next technical post once I get back from this extended trip. I look forward to your comments in the future. Enjoyed your presentation in Montreal. I just took at the accuracy challenge and noted that the current goal is harder at 200bp Q23 (99.5%) from 200Q20, rather than the 100Q23. Any thoughts on how feasible this goal is to achieve? James, thanks for the kind words and feedback. That’s very good and interesting question and makes for a very compact blog topic. I’m still touring North East America but will get on to that when I get back. Without looking at the data, here are my initial thoughts. 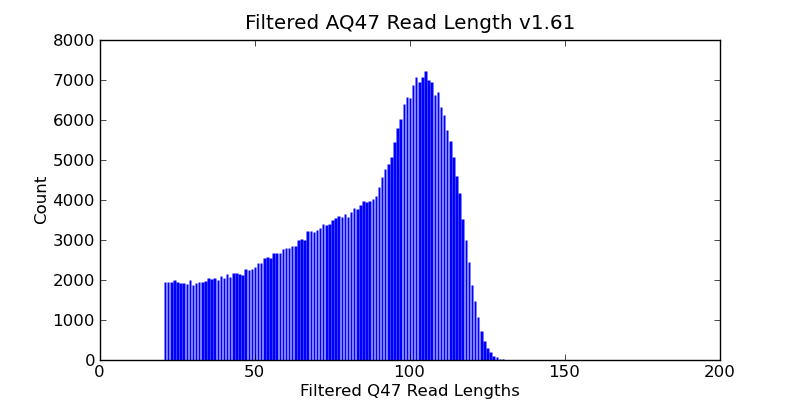 The feasibility or difficulty of the challenge is a measure of how difficult it is to get the subset of sequence reads at Q20 that didn’t make it to Q23, to get there. A good question to ask is whether those Q20 reads would ever get to Q23 – TorrentScout would be a good tool to use to ask that question. The implementation of a non-greedy approach (i.e. treephaser), dynamic programming and adaptive normalization to me are considered low hanging fruits as most technical people could have predicted that these techniques would eventually be implemented. Therefore, increasing the difficulty of the challenge. However, it should close the gap between Q20 and Q23. In other words a smaller percentage improvement gains are now needed BUT that should not be used as a measure of difficulty. Have you noticed improvements in pure signal processing in 1.5? Or is it mainly improvements in filtering and phase solving? That’s a good question. I’ll get back to you shortly on that. One thing I’ll look at is mixing and matching between 1.4 and 1.5. Let 1.5 do the signal processing to produce the 1.wells file, then use 1.4 to do the phase solving and base calling. Then perform vice versa to sort of measure the improvements each module has made to the overall performance difference.